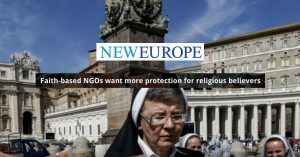 Religious freedom and belief often “take a back seat” to policymaking, according to Martin Weightman, the director of the All Faiths Network, who told participants that the rights of religious minorities are overshadowed by issues affecting other groups. “Some countries are more open to accepting religious minorities while others expressly take actions to exclude such groups from entering into the mainstream, including through legislation on head coverings and the wearing of religious symbols. Weightman was one of the keynote speakers at the Faith and Freedom Summit, a coalition on NGOs was launched in June last year to highlight areas where religious freedom is threatened in the EU. 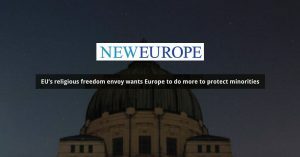 As part of its ongoing campaign, it has issued a pledge to candidates in May’s European elections, asking them to commit to defending the freedom of conscience and religion of all individuals. Weightman explained that his organisation is an interfaith and human rights group that is active in the UK and other parts of Europe and has “taken an active role” in speaking out against discrimination against religious minorities.